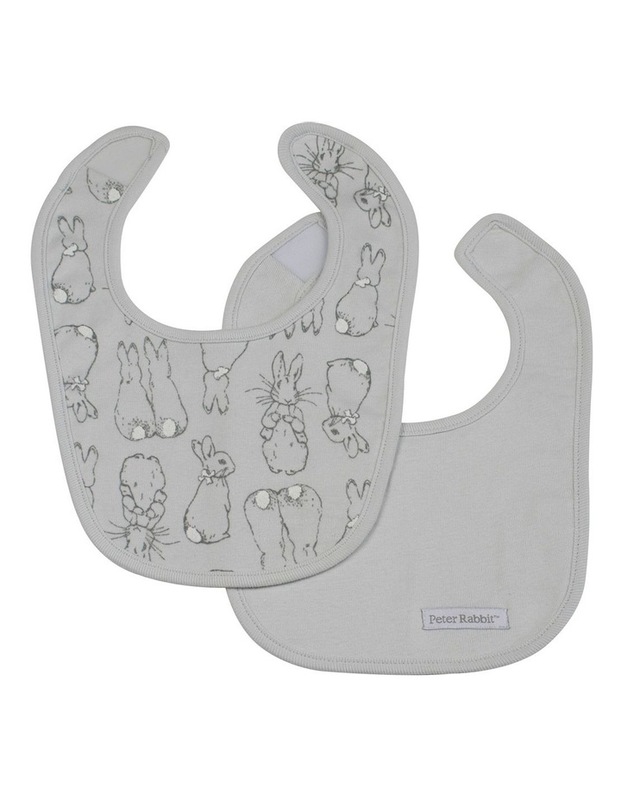 This Peter Rabbit 2 pack bib set is a great buy, with 1 plain badged Peter Rabbit bib and 1 printed bib with cute little bunnies. 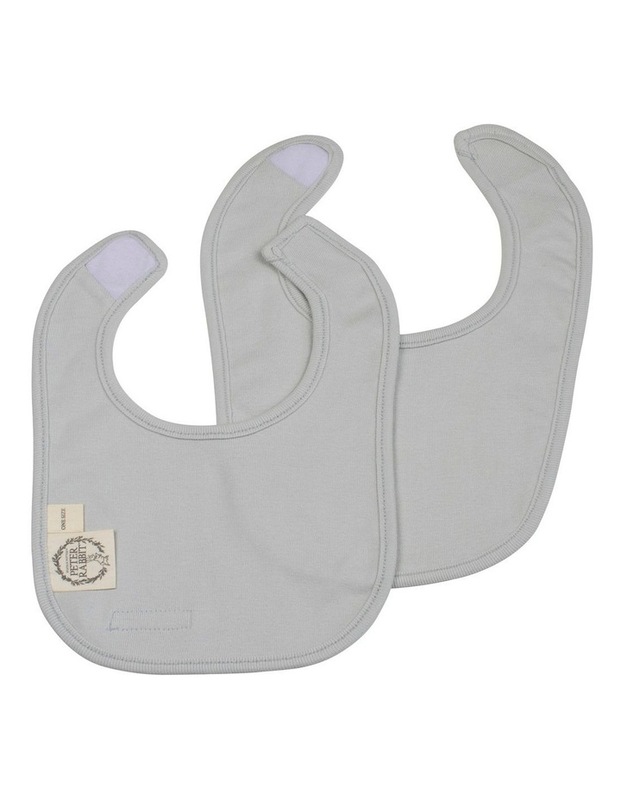 They have super soft velcro on the openings and binding around the edges. 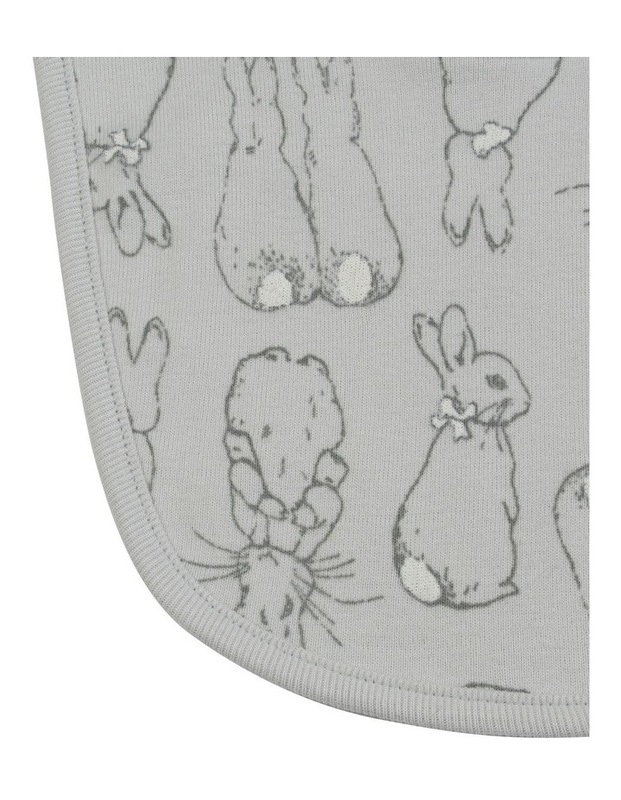 Peter Rabbit is exclusive to Myer.